Edna Valley is a beautiful area of San Luis Obispo's wine country. The rolling hills, the nearby Pacific Ocean, the vineyards. When there has been a decent amount of winter rain, I'm tempted to orate. "This blessed plot, this earth, this realm, this Edna Valley." Okay, maybe that's a little overboard. However, the place is beautiful. Edna Valley Vineyard boasts land that was once a seabed and what they say is the longest growing season in California. The chalky terroir comes forth most forcefully in white wines, notably Chardonnay, which the winery says was the first grape planted in the valley, presumably in modern times. The grapes for this wine were grown on 45-year-old vines in the winery's Heritage Block. They are the Tepesquet clone of Chardonnay, and the winemaker credits them, the climate and the vine age for the low-yields and concentrated flavor. 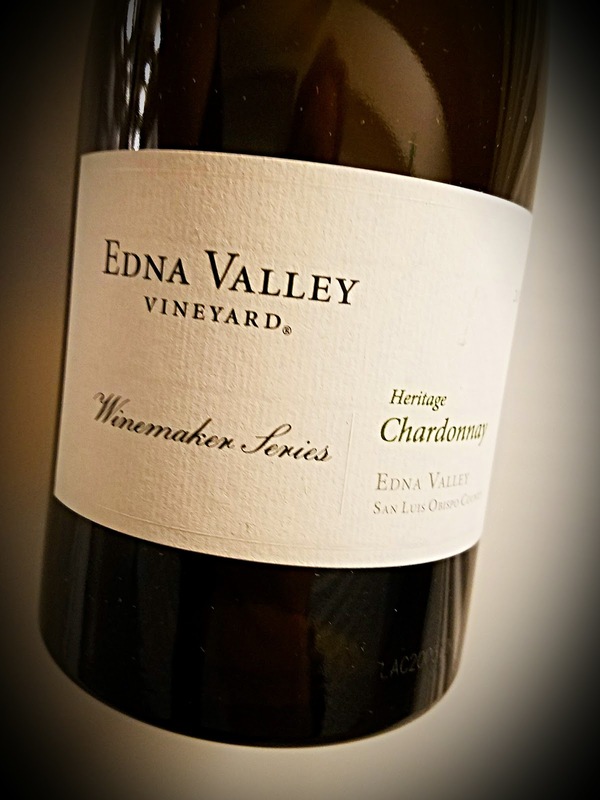 The Edna Valley Vineyard Winemaker Series Heritage Chardonnay 2015 clearly got a lot of oak, but they know how to handle wood at Edna Valley. The wine sells for $40. This golden Chardonnay really is a heritage. Old-style Cali Chard lives in this bottle. 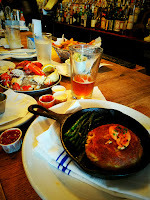 The nose knocks one over with vanilla, butter, cedar, butter, popcorn butter and butter in which to dip a lobster claw. That translates to lots of oak, no compromise, so if you like your Chardonnay naked, keep moving. I generally enjoy this style best in winter, the holidays specifically. For August, I turn up the A/C, flex alert be damned. The palate shows great heft, awesome acidity and a creamy mouthfeel. 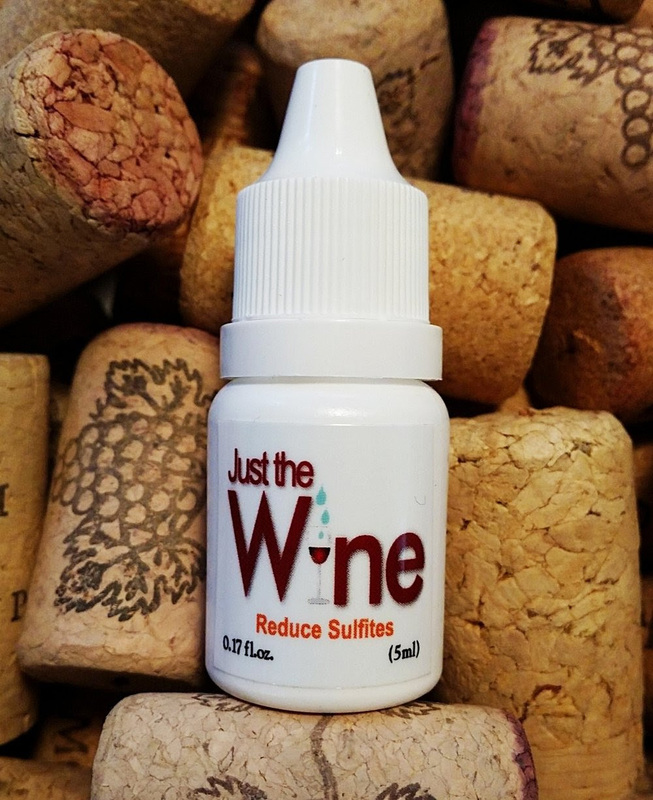 How do they get all that into one wine? The flavor is rich and apple-y and peachy and oaky and… buttery. That lobster's not such a bad idea. The wine list at Monsieur Marcel's in L.A.'s Farmers Market isn't expansive, but it always offers at least a few wines which will make a grape freak sit up and take notice. I haven't found a lot of restaurants in town where I can order a Picoul Blanc, like I can here. I don't know that I've ever seen the Sciaccarello grape on a wine list anywhere. The Terra Nostra Rosé Corse is a Corsican wine, made from Sciaccarello grapes, also known as Mammolo. It's an Italian red grape variety, grown on a French island that's closer to Italy than France. In fact, it's just a stone’s throw from the Italian island of Sardegna. The people of Corsica say they think of themselves first as Corsicans, then as French. It cost 12 bucks by the glass in the restaurant, so I would imagine it runs just about that by the bottle in retail. It's not too fancy, but it is tasty and refreshing. Hall Ranch sports five sustainably farmed estate vineyards - 300 acres in all. They grow 21 different grape varietals there near the Estrella River. Head winemaker Don Brady was Texas-trained, back before Texas had a wine industry of which to speak. He's been with Robert Hall Winery for nearly two decades. 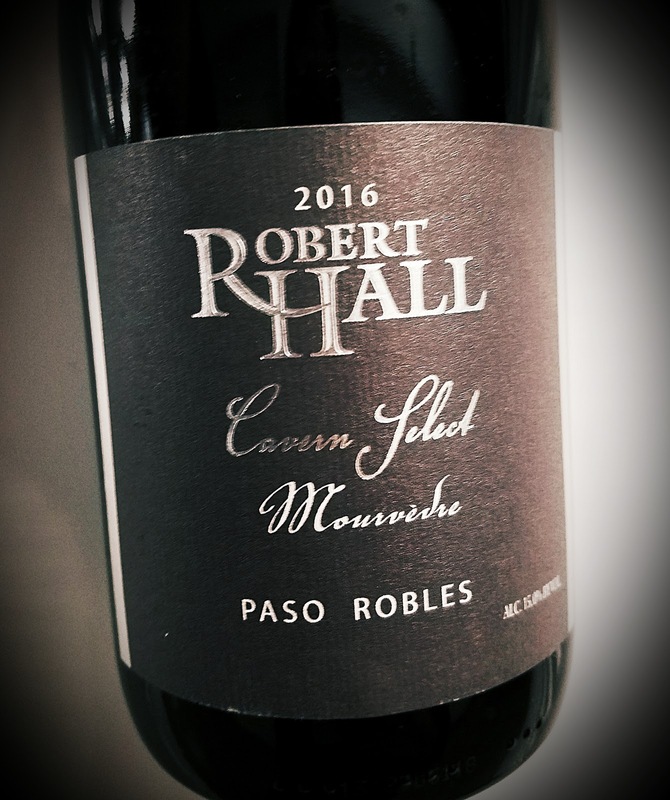 Robert Hall's 2016 Cavern Select Mourvèdre is mostly that grape, 97%, with tiny splashes of Syrah and Grenache. It reverses the pattern of the GSM, but I suppose MSG isn't a great name for a food product. The vintage was marked by drought, early hot weather and late moderation until some October rain came as harvest ended. It rings up 15% abv on alcohol and $45 at the cash register. This wine is nearly full-blown Mourvèdre, so it's dark. It's rich, too, with a nose of cassis and blackberries shrouded in smoke and tobacco. It's fragrant to a fault, if such a thing exists. The palate is beautiful, with deep, dark fruit and savory herbs bursting at the seams. The tannins are there, but are surprisingly tame. That's all the better for sipping. This is a wonderful wine with a bounty of aroma and flavor and a near-perfect touch of oak. When a grape surprises me, it reinvigorates my interest in it. Like that birdie on the eighteenth after a miserable round of hacking away at the grass, it keeps one coming back. 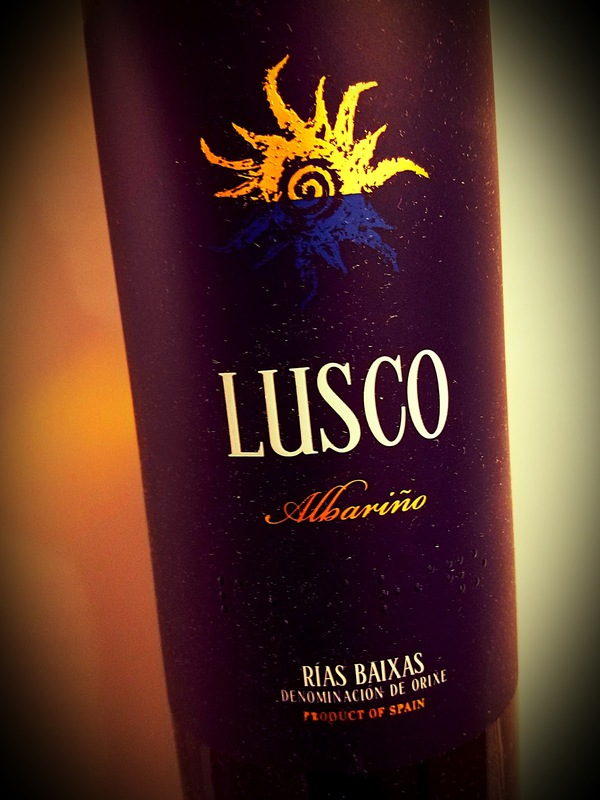 Made in Galacia, in the noted Albariño region Rias Baixas, the 2015 Lusco is one of the more expressive and complex Albariños I've tasted. I'm certainly not a derider of Albariño, but it's not my go-to white wine. It could be if they were all like the Lusco. This 100% Albariño has a nice golden hue, a little richer that is usual for the varietal. On the nose, there is the expected spray of flowers, but an earthy note comes on strong, much to my liking. It's a nutty aroma that mixes in with the citrus zest. The palate also brings it, with a savory herbal aspect that honors the lemon beautifully. The finish is medium long and loaded with lemon. Wines made in Dry Creek Valley have the flavor of the old West, the frontier, the pioneers. 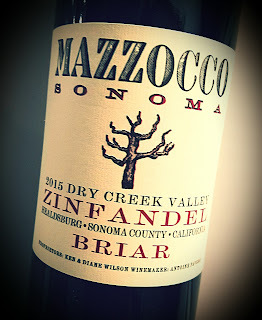 While briar is a common tasting note for Dry Creek Valley Zinfandels, it's also the name of the estate from which comes Mazzocco Zinfandel. Owned by Ken and Diane Wilson, the winery's 14-acres are called Briar Ranch, and the Briar Vineyard gives up the grapes for single-vineyard Zinfandel, Petite Sirah and Cabernet Sauvignon. The property is located on a saddle between the Dry Creek and Alexander valleys, a dusty part of Sonoma County that has always made me think of swinging saloon doors. Winemaker Antoine Favarro says, "it's the fruit," which is a lot more humble than saying, "it's all about me." The wine spent 18 months in French oak barrels, but didn't end up wiped out by wood. 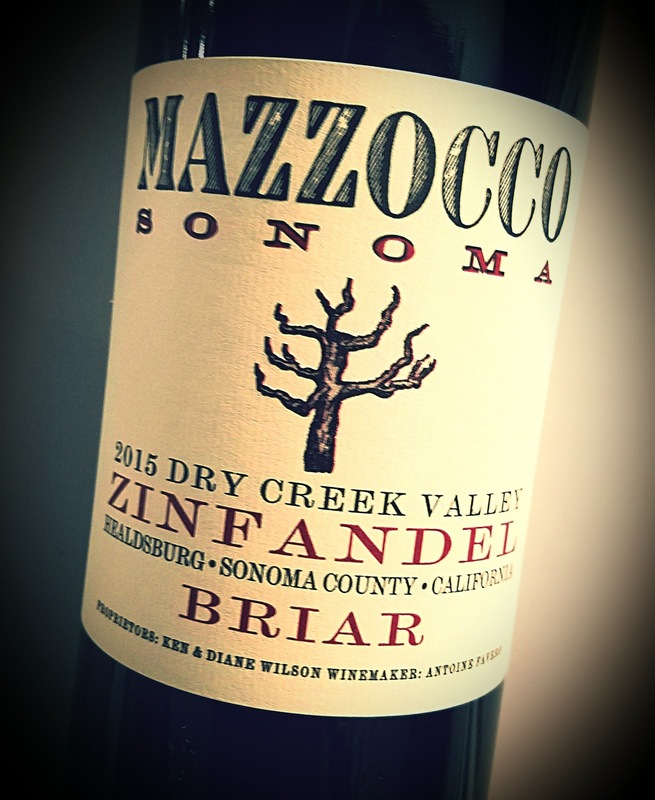 Fewer than 600 cases of the Briar Zinfandel were produced, and after looking at their website, it appears the 2015 vintage may be sold out. The 2016 Briar sells for $29. So does the 2016 Aguilera Vineyard Zin. Grand Reserves from the Maple and Rockpile vineyards go for $100 bucks a pop. This Dry Creek Valley Zinfandel is extremely dark with a deep, rich nose. Aromas of blueberry, black cherry and currant come forcefully, with delightful black pepper, vanilla and smoke on top. That touch of briar is there, too. The palate has a distinctly savory side - sage, rosemary, white pepper - and the fruit is all dark and smoky. Tannins hit a sweet spot and will prove useful without getting in the way. The sip is smooth and delicious, as the best Zinfandels usually are. Château Peyros is the southernmost property in the Madiran region of Gascony, in France's far southwest corner. The property's name reportedly comes from an ancient word meaning "rocky location." That's only fair considering the large stones that were left by a previous tenant, the ice age. Jean Jacques Lesgourgues bought and restored the estate in 1999. The estate's clay and limestone soil contains Tannat and Cabernet Franc grapes, which are farmed sustainably. A herd of sheep serve as lawn mowers and fertilization experts. 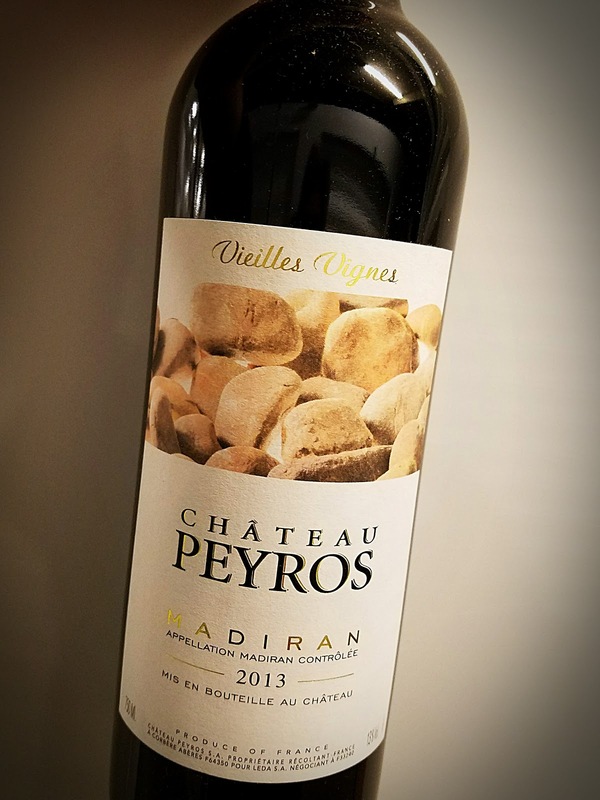 The 2013 Château Peyros Vieilles Vignes wine is a blend of 80% Tannat and 20% Cabernet Franc. The grapes came from vines between 40 and 50 years old. The wine spent about 12 months in oak barrels - 40% new - before being bottled. It's not only a powerful wine, as Tannat is wont to be, it's reportedly one of the healthier wines, too. Tannat grapes apparently have lots of procyanidins, said to be good for keeping blood pressure and cholesterol low. The wine is imported by Baron François of New York City. It hits 13% abv and sells for less than $20 in most places. This dark, dark wine smells of tobacco and tar, with a blackberry backbeat. 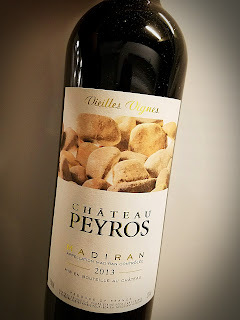 On the palate, you've got some strong tannins - to be expected from an 80% Tannat wine - and flavors of plum made savory, as if the plum skin is included. If you want a wine to pair with a big, fatty steak, here ya go. Decant before enjoying with a meal of substance, like beef, duck or a hearty stew. Collier Falls is right next to Bella Winery's property and farmed by Barry Collier. He's caring for land that was planted by Italian immigrants in Dry Creek Valley more than a hundred years ago. 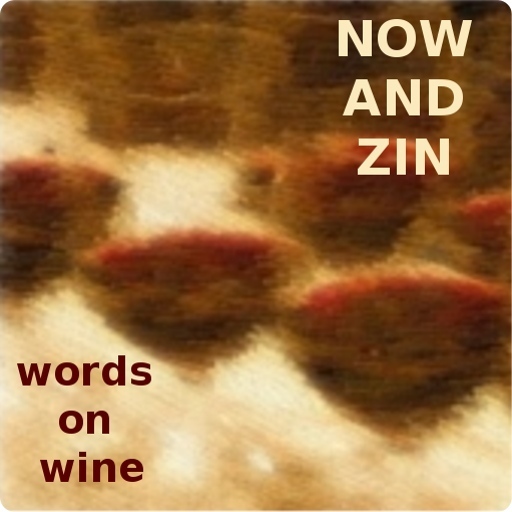 The Micheli family started it and the Zinfandel grapes still hang from those vines today. 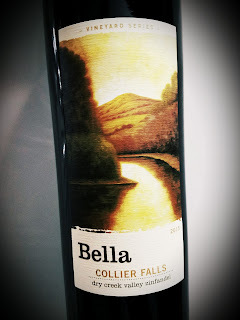 The 2015 Bella Collier Falls Zinfandel is a pure Zinfandel - as pure as those century-old vines can be, considering the ancient habit of growing various grapes willy-nilly in the same vineyard. Winemaker Joe Healy has been with Bella for some 17 years. The wine's alcohol stands tall at 14.7% abv. The wine was vinified and aged in American oak barrels, a third of which were new. It retails for $45. This wine is medium-dark ruby in color, fairly opaque with some light getting through. Its nose and palate are both perfumed with jammy, dark fruit and peppery spices. After sitting in the glass for a few minutes, a gorgeous aroma of smoke appears and more savory note comes to the tongue. Cedar and vanilla play a role, but the oak aging is overdone in such a dramatic way, it's hard to complain. This is still a great Zinfandel, so expressive despite the heavy-hand in the cellar. Bodega Gonzalez Byass has been in Jerez -- southern Spain, the Andalusia region - for nearly 200 years. This sherry is named after the founder's uncle Pepe. The vineyard soil is chalky, all the better to hold moisture during the long, hot summer. 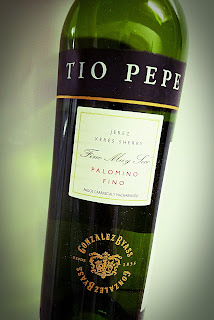 Tio Pepe Jerez Xérès Sherry is made from 100% Palomino Fino grapes, and is fortified to 15% alcohol. Any higher and the flor could not form, the yeasty layer that covers the wine while it's in American oak barrels and prevents oxidation for the four to five years of aging. The Solera method is used, with wines being blended from vintage to vintage. The types of sherry and their production is much more complex than my limited knowledge. If you're interested, please read up online. You'll be glad you did. This sherry has a golden-yellow tint and a forceful nose. That wonderful resinous sherry smell is there in spades, along with walnuts and anise. The sip offers similar wonders, with a completely savory approach. It's as dry as a bone, provided the bone was lying in the desert sun for a while. There's not a lick of sweetness, so it's not Grandma’s sherry. The chalky vineyard soil seems to speak through what these Palomino Fino grapes have wrought. There are notes of hazelnut, lemon and the all-important yeast layer - flor - that sits atop the wine in the barrel for five years. The acidity is decent, but not too forceful, and afterward, the finish lingers with anise lasting the longest. Wow, is all. Dining with friends is an all-too-rare pleasure in Los Angeles. Some will say, "What's he talking about? All we do is get together with friends!" For Denise and I, we find that it's difficult to arrange time with our friends, because of our schedules and theirs. One couple, dear friends, used to live less than a half-mile away and we saw them once a year. One guy we rely on a lot for good company is our pal Guido, whom everyone except us calls S.J. We often meet, though not often enough for me, at a restaurant up in the hills above Bel-Air. It's way up there, just off Mulholland, so it's a nice ride up the canyon road and always a nice lunch. As you might imagine, I had the rosé. Actually, it was the Tenuta La Badiola Acquagiusta Tuscan Rosato. It's made in the IGT of Maremma, on Italy's western coast, on the Tyrrhenian Sea. The area includes parts of south-western Tuscany and northern Lazio. 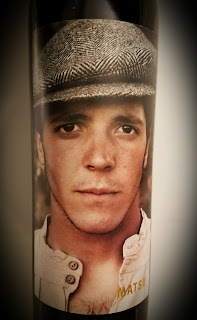 The wine is made from 100% Alicante grapes from the Levante Vineyard on the La Badiola estate. 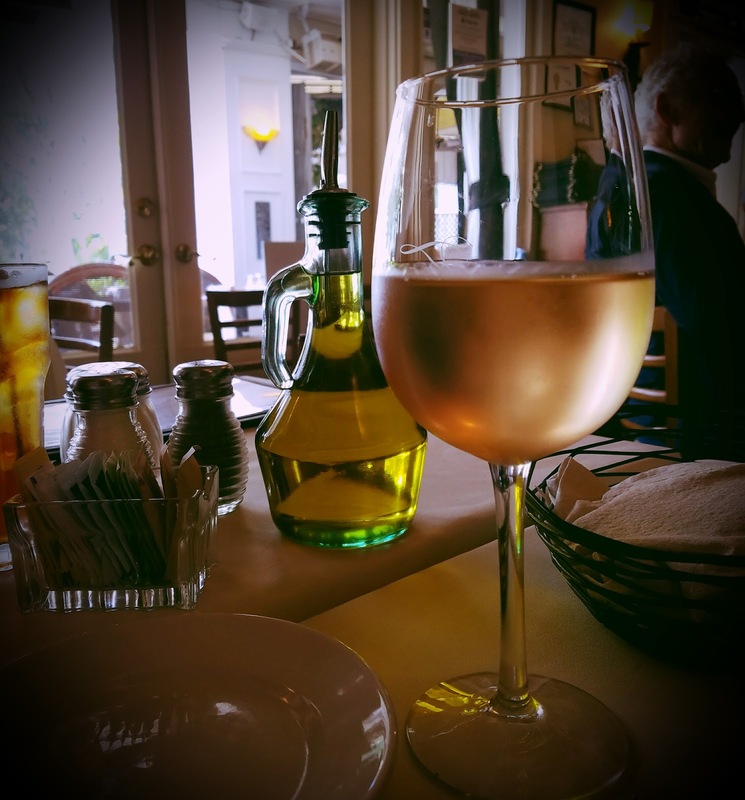 Rosato is a great change of pace rosé, assuming you need a change of pace from Provence or California. Italian pinks are often made from interesting indigenous grapes, and they usually offer a slightly different flavor profile. A Forbes article by Susan H. Gordon gets lengthy while trying to figure out the Alicante grape's beginnings. Summing it, there's a study that indicates the grape came to Italy from the people of Spain's Aragon region, and it's a biotype of Garnacha. What little planting of the grape that remains in Italy is located mainly in Tuscany and Sicily. This rosé's color is that dingy pink usually called onion skin. I had it at the restaurant that serves my favorite salad in Los Angeles, the calamari and scungilli at Fabrocini's Beverly Glen. Aromas were typified by earthy strawberry and cherry, which is where the palate lived, too. There was a slightly dark angle which I'll call pomegranate since a better descriptor doesn't come to mind right now. A nice acidity was useful, but I wouldn't recommend this wine for anything tougher to handle than cephalopods or mollusks. A fizzy, pink Bulle-Moose de Cigare is already on the loose from Bonny Doon Vineyard. Now, two other canned quality wines join in because, as winemaker Randall Grahm says, “Yes We Can.” Grahm is a noted trend bucker and setter in California wine, championing Rhône varieties, screw caps and honest labeling before anyone else did. Wine in cans is his next frontier, although he's not the first to jump on that idea. Bulle-Moose Blanche is a fizzy California Vermentino, canned for convenience. Grahm says he also plans to make a still Vermentino in the near future. 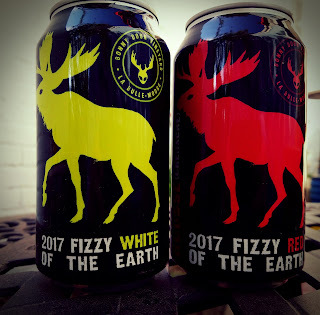 The 2017 Fizzy White of the Earth was limited to just 800 cases of 375ml cans, which retail for $8 per can. The White: It's 100% California Vermentino with a jolt of CO2 to get it slightly fizzy. It's a 12% abv dry wine, which is best served cold and can age for a couple of years. The Bulle-Moose Blanche tastes almost like Vermentino from the Italian islands. It smells like one, too, with savory, salty aromas meeting the California citrus. Think of it as the midpoint between Italian Vermentino and California Sauvignon Blanc. The palate shows off a beautiful salinity - from Randall Grahm, no surprise - and zesty lemon and orange peel. It's a refreshing wine that begs to be taken outdoors. 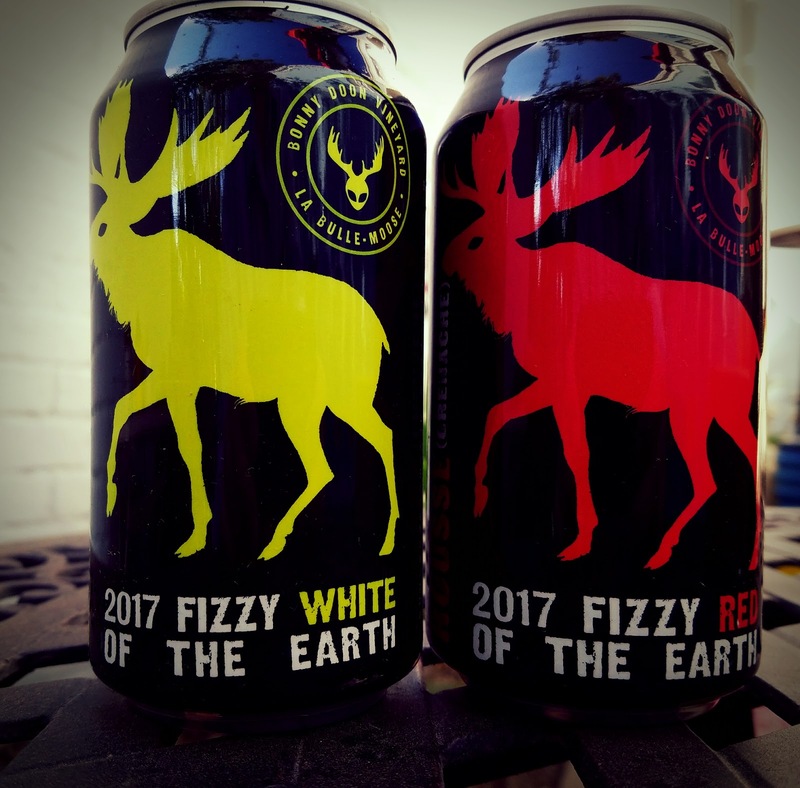 The Bulle-Moose Rousse is a fizzy Grenache wine in the convenient can. The 2017 Fizzy Red of the Earth gets an introduction from the Le Cigare Volant UFOs-in-the-vineyard backstory. Grahm says "no one is truly prepared for fizzy red wine from not around here." Fortunately, these aliens are "known for their friendliness." They're also good at picnics. The Red: A can of 79% Grenache and 21% Syrah, all Central Coast grapes, fizzed up to just below the legal limit for the sparkling wine tax. Alcohol hits only 13% abv and it's dry. Get it while it's cold. It should age well for a couple of years, and some 2,500 cases of these 375ml cans were made, which sell for $8 per can. The Bulle-Moose Rousse pours up fun - you aren't drinking from the can, are you? - with pretty pink bubbles on top of the purple wine. The color is actually more like medium ruby. A nice frizzante stays after the bubbles dissipate. The nose is deep and lean, with more earth than fruit there, and on the palate. The savory notes for which Randall Grahm is known as present, even in an offering that’s made just for fun. The Zabala family is in their seventh generation on their Monterey County property in the Arroyo Seco appellation. In a dry riverbed full of granitic soil, the vines were planted in 1972. The land is described as wind battered and rock strewn, so it's fitting that Mercy made a wine that will likely refresh you when you feel that way. 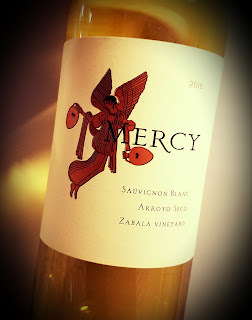 For the Mercy 2016 Sauvignon Blanc Zabala Vineyard, the Musqué clone Sauvignon Blanc grapes were whole-cluster pressed and fermented in steel tanks, where they also aged for six months. Alcohol checks in at 13.5% abv and the wine retails for $24. As they say in the press literature, "Have Mercy"
This Arroyo Seco, single-vineyard Sauvignon Blanc has a green-gold tint and a nose showing fresh-cut grass, a hint of flowers and generous grapefruit and lime notes. The palate is lush and juicy. Acidity is notable but somewhat gentle. It may be the wine or that I recently returned from Baltimore, but I want a crab cake or oysters with it. D.O. 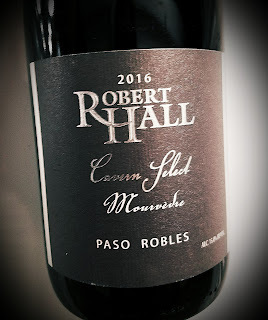 Toro has a dry climate, extreme temperatures and 100-year-old vines, and the 2016 vintage was longer than usual, offering a slow maturation for the grapes, which were harvested in October. The 2016 Matsu El Picaro is made from Tinta de Toro - Tempranillo - grapes which grew on 50 to 70 year-old vines in poor soil, biodynamically farmed. It was vinified and aged in concrete tanks, for at least three months. Alcohol sits at 14.5% abv and the retail sticker says $14. Extremely dark in color, this wine looks like motor oil and allows about as much light to come through it. The fruit is dark and pure on the nose, but as savory as the D.O. Toro is dry. Concrete tank aging leaves no oak impression, but the complexity does not suffer. Savory notes grace the palate as well, with blackberry and prune coming forward on a dry-as-a-bone wave. The tannins are firm and young still, and I would love to match this wine with roasted potatoes, or a juicy steak. When traveling, one should always try the local beers. That's my philosophy, and it has served me well during the craft beer years. 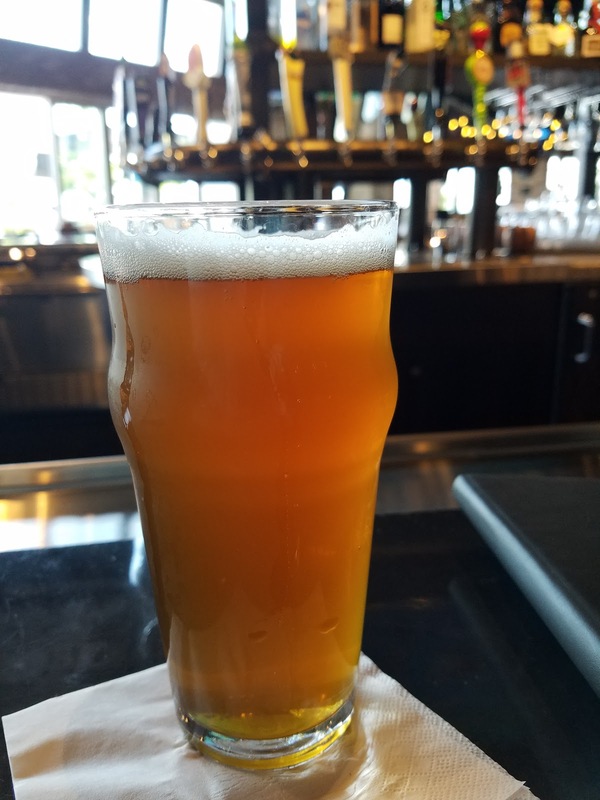 Places like Portland, San Francisco, San Diego, Boston, hell, just about anywhere, have local beers scenes making suds worth sampling. Maryland is no exception. Heavy Seas Beer is produced by Clipper City Brewing Company in the heart of Baltimore. It was pointed to by several articles and locals as the best B'more brewer. Hugh Sisson first started brewing it in 1995 and gave B'more its first brewpub. Heavy Seas Loose Cannon IPA is their flagship brew. Simcoe, Palisade, and Centennial hops make for a wonderful nose. Deep amber, the light head dissipates quickly, but who cares. It's the taste you want. Those beautiful hops meet British-style bitterness, which lingers on the finish. 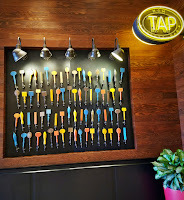 RaR Brewing is an Eastern shore brewer in Cambridge, MD. 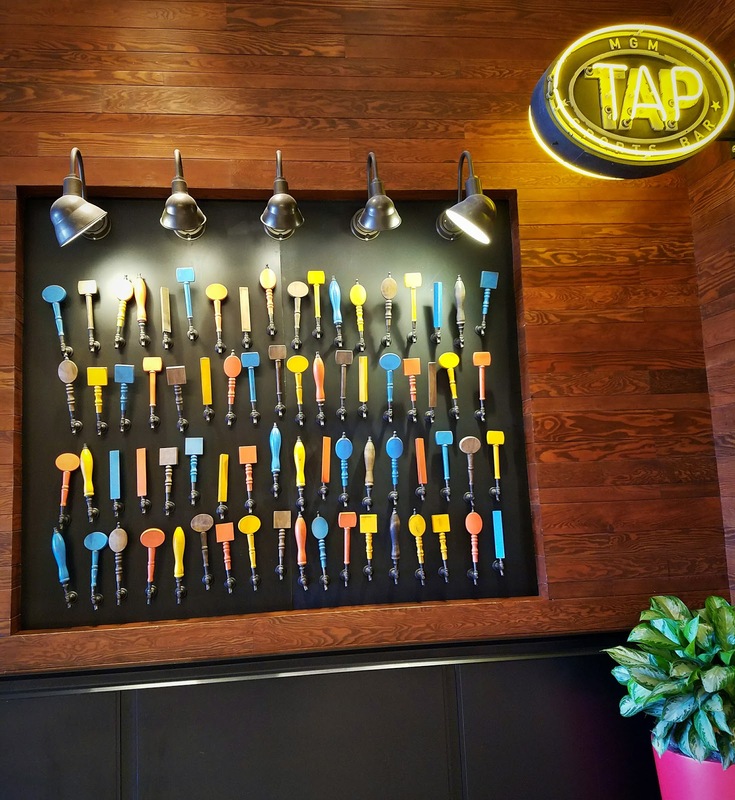 The brewery’s home is on the east side of Chesapeake Bay, on the Delmarva Peninsula, which also contains Delaware and, for some reason, a spit of land belonging to Virginia. I would love to have sat in on the planning session that resulting in that division of property. RaR is "local boys brewing local beers," and they’re doing a fine job. As if the beer isn't good enough on its own, their labeling includes a mysterious little dinosaur swimming in water. It's Chessie, I'm told, a sea creature legend in Chesapeake Bay. Rar Nanticoke Nectar IPA has alcohol up at 7.4% abv. It was available in handy six-pack cans where I bought it, and I shared it with my pals at the hotel in Fells Point. A beautiful, floral nose gives way to a slightly bitter taste and finish. Citrus plays a heavily and makes for a refreshing drink. D.C. Brau is brewed, of course, in the nation's capital. 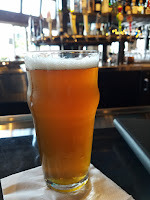 Their IPA, The Corruption, is a copper-colored northwest-style IPA at 6.5% abv. And, what better name for a D.C. beer that The Corruption? Especially now. It's good whether you’re watching the Nationals or the Orioles. They make it with Honey Malt and Victory Malt, and a big ladle full of Columbus hops. It's a very nice brew, with more barley to accompany the hops. The beefy flavor is nothing short of hearty. I ordered a pint of Terrapin HI-5 IPA after seeing only the tap handle, figuring the name gave away some Maryland roots. I was wrong. It's made in Athens, Georgia. It is good, however, with five hops giving a lovely aroma and flavor. 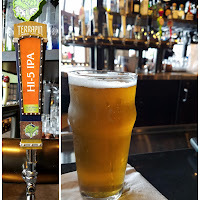 Juicy and refreshing, the California-style IPA has a light bitter edge on the finish. Labels: beer, Maryland, Washington D.C.